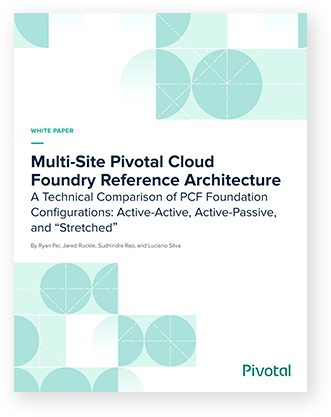 Pivotal Cloud Foundry (PCF) deploys continuously, freeing operators to focus on what matters—partnering with the business. Efficiently manage Day 2 operations across your entire application portfolio. PCF keeps your applications online and serving traffic, even in the face of infrastructure failure and unpredictable traffic spikes. Deliver enterprise SLAs as your business grows. Update during business hours fearlessly. PCF’s embedded Linux and Windows OS let you apply patches without downtime. And Cloud Foundry BOSH, the platform’s deployment toolchain, allows you to repair vulnerable software as soon as updates are available. Embrace immutable infrastructure with a platform that heals itself. Instead of manually deploying, patching, upgrading, and scaling infrastructure, you can work closely with your peers and automate more aspects of the software development lifecycle. Count on four layers of built-in high availability to keep apps online and serving traffic. Keep customer-facing systems online even during spikes in traffic. PCF runs the same way in the public cloud and in your data center. That makes it easier to scale across clouds as you grow. Keep your apps online and serving traffic even on the busiest days. Automatically scale your applications to meet the needs of your business. Keep tabs on apps and the platform itself with integrated observability tools. When incidents occur, get the full picture of system behavior with intuitive, time-based displays of events, logs, and metrics. Connect the dots with distributed tracing. Rely on built-in, automated platform updates with an embedded OS. When a CVE hits, patch remediation is done for you. Never patch an OS again. Count on a secure, central point of control for encrypted credential generation, storage, and lifecycle management. Developers can focus on code instead of password rotation. Create a common network security model for cloud-native and traditional apps. Run PCF atop VMware NSX and simplify enforcement of corporate network policies. PCF protects data in transit with TLS throughout the platform. Enable encryption at rest using the security features of your chosen infrastructure providers. Deploy and log Buildpacks in a consistent, repeatable way with each cf push command. More easily audit and control what’s running on the platform at any given time. Configure enterprise, role-based access controls to segment permissions across your organization. Every developer has the right level of access for their role. An organization needs more than a modern platform to quickly build and run apps—it needs to adopt modern delivery practices, changing the way it works across the entire software delivery lifecycle. The experts on the PCF Solutions (PCFS) team accelerate your success with PCF by partnering with your team to plan, implement, customize, operate, and scale the platform. Our approach is vastly different: we don’t do the work for you—we pair with your team and work side by side.